The Kewaunee Harbor is currently undergoing a large renovation with assistance from a $4.2 million Harbor Assistance Program grant. Part of this renovation involves the 6-acre public park in the harbor, and this grant will allow the city to integrate green infrastructure into this park. These green infrastructure improvements will treat and store stormwater from approximately 15 city blocks before it enters the harbor. 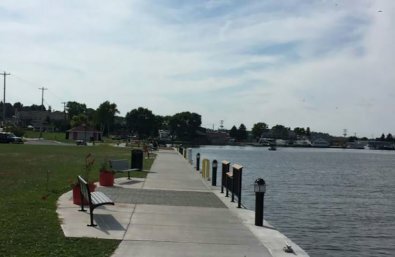 The city hopes that this park will be the centerpiece of the redevelopment effort along Kewaunee’s waterfront, so the green infrastructure constructed there will not only reduce damaging runoff, but also be highly visible.